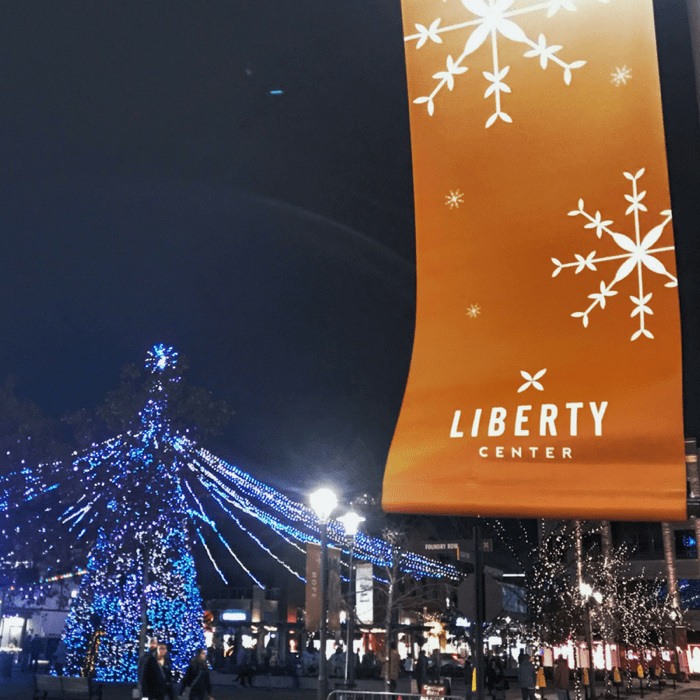 Whether it’s shopping for gifts or just taking time to enjoy holiday events with friends and family, Liberty Center has you covered, all in one stop. 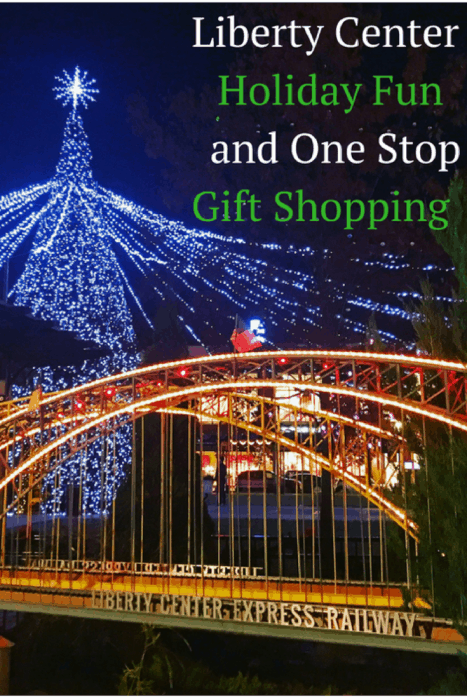 You can find plenty of options for that special someone at Liberty Center with stores that range from clothing to specialty items. 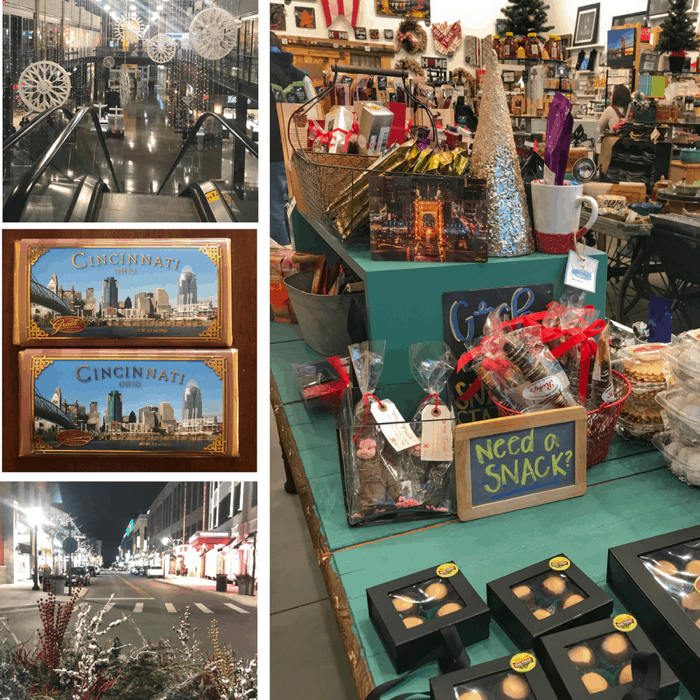 Your holiday gifts could even include some local favorites from Celebrate Local, sweet treats from Graeter’s, or a bottle of wine from Cooper’s Hawk Winery. 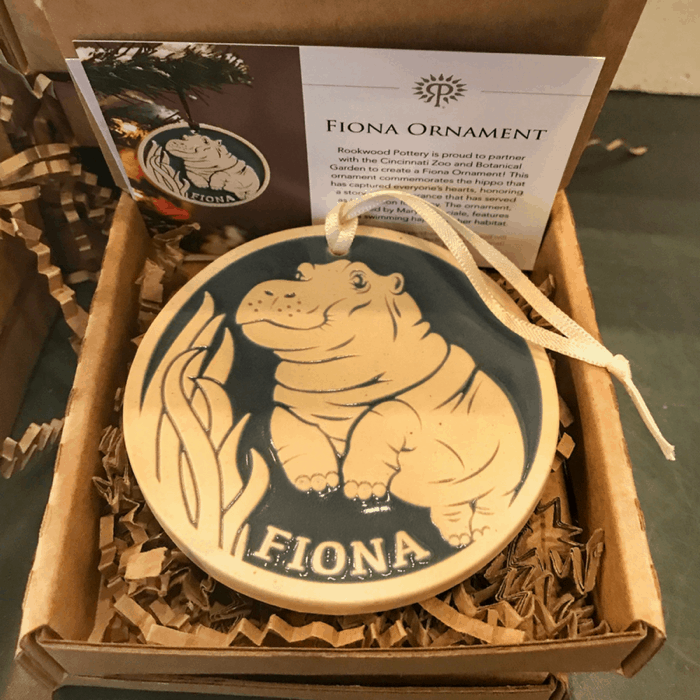 Fiona the Hippo Fans will LOVE this exclusive ornament created by Rookwood Pottery that gives back 20% of proceeds from the ornament directly back to the Cincinnati Zoo. The ornament is only available at Rookwood Pottery store locations. 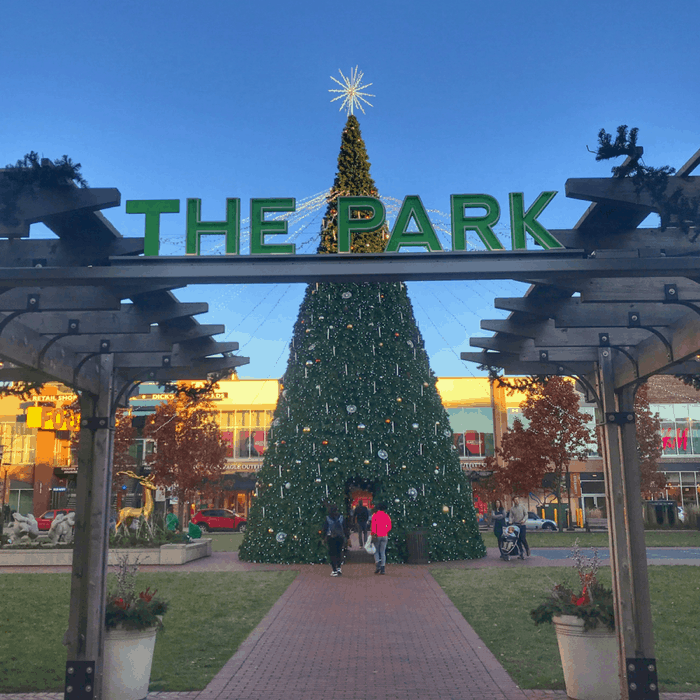 Another nice perk of picking your ornament up at Liberty Center Rookwood st0re is that you don’t have to deal with the hassle of downtown parking. Sometimes it’s just too overwhelming to try to decide on a gift for someone else, especially if you have teenagers. Why not give them a Liberty Center gift card that gives them LOTS of options to choose from. 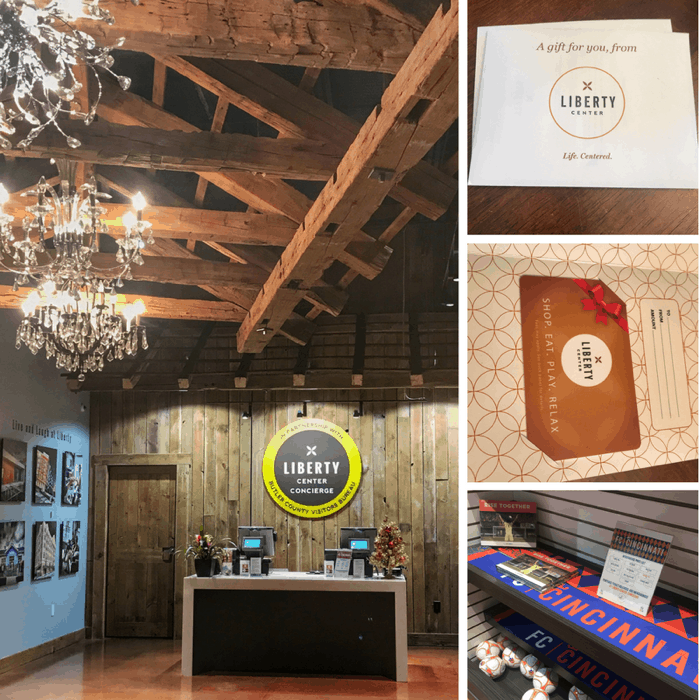 They can use the Liberty Center gift card at restaurants, retail stores, for movie tickets, and can even purchase vouchers for an upcoming FC Cincinnati game. I personally prefer this type of gift card because I don’t like being limited to only one store. Gift Cards are also a nice way to treat someone special to a night out allowing them to choose the restaurant. 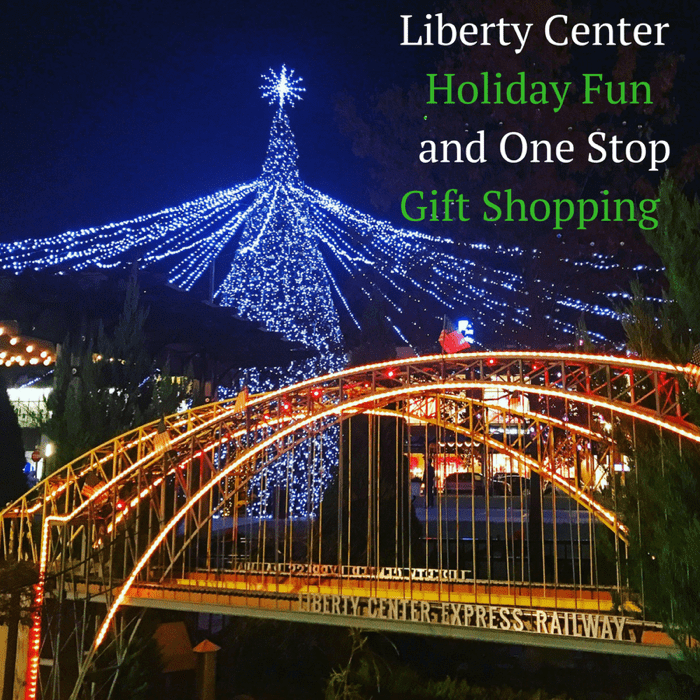 You can pick up Liberty Center Gift Cards at the Liberty Center Concierge located on the lower level near the entrance by Rodizio Grill. I would suggest picking a time to visit that allows you enjoy the lights before and after it gets dark. Both views are really pretty. It’s not very often that you can say that you actually walked thru a Christmas tree. View the nativity scene inside and watch the colors of the tree change on the outside to holiday music. Head to the Santa set by the fireplace in the Living Room. Exclusively at Liberty Center, get a 5×7 photo for only $5 or take a photo on your phone for free! Book your reservation here! Children will have the opportunity to meet Santa in a unique sensory-friendly way this holiday season during select dates in December. 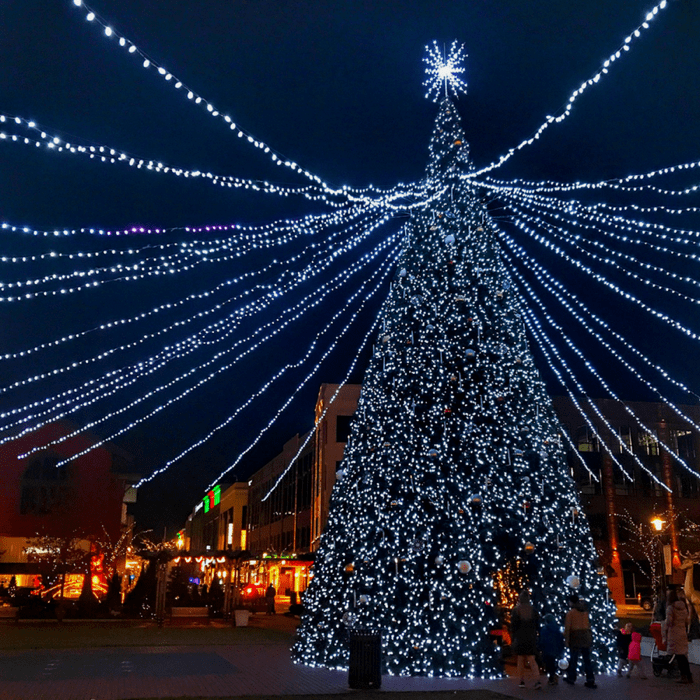 Celebrate the holiday season with a Liberty Center carriage ride in The Park! 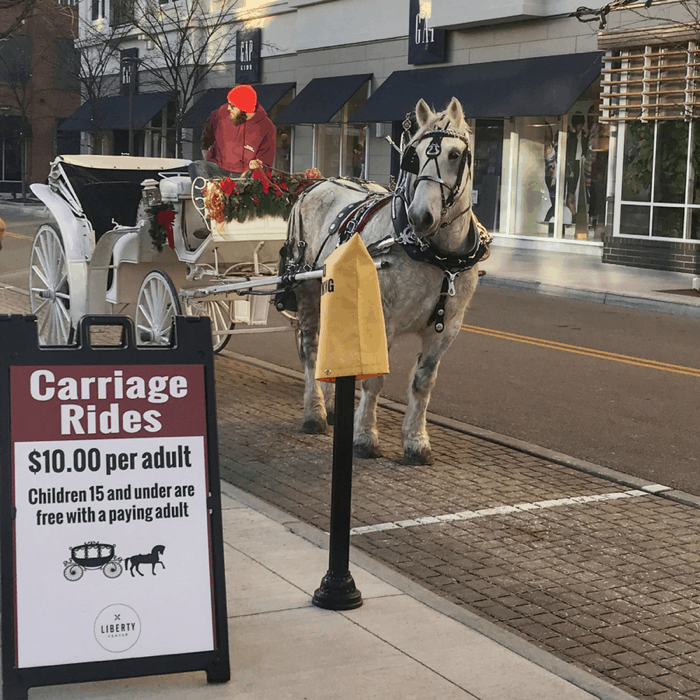 Carriage Rides will begin November 18 and run every weekend through December 23. Carriage rides are $10 per adult and free for children under the age of 15 who are accompanied by a paying adult. Several restaurants at Liberty Center are also offering happy hour specials throughout the holiday season. Multitask your visit by getting your shopping done and making it a date night or night out with friends. Get the full list of participating restaurants here. You can find out more about upcoming events at Liberty Center from their website. 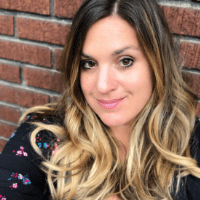 Thanks again to Liberty Center for sponsoring this post. All opinions are my own.